1. Marincola F.M. Translational medicine: a two-way road. J. Transl. Med. 2003; 1: 1–2. 2. Burke J.D., Pincus H.A., Pardes H. The clinician-researcher in psychiatry. Am. J. Psychiatry. 1986; 143: 968–975. 3. Aronson J.K., Cohen A., Lewis L.D. Clinical pharmacology — providing tools and expertise for translational medicine. Brit. J. Clin. Pharmacol. 2008; 65 (2): 154–157. 4. Littman B.H., Di Mario L., Plebani M., Marincola F.M. What’s next in translational medicine? Clin. Sci. (Lond). 2007; 112 (4): 217–227. 5. Ponomareva O.V. Translyacionnye issledovaniya i `evolyuciya podhodov k lecheniyu bol’nyh rakom molochnoj zhelezy. Onkologiya. 2010; 12 (4): 369--376. 6. Wang X., Wang E., Marincola F.M. Translational Medicine is developing in China: a new venue for collaboration. J. Transl. Med. 2011; 9: 3–5. 7. Limbert C. Translational medicine: is this a matter for the clinician? Acta Reumatol. Port. 2010; 35 (2): 132. 8. Day M., Rutkowski J.L., Feuerstein G.Z. Translational medicine — a paradigm shift in modern drug discovery and development: the role of biomarkers. Adv. Exp. Med. Biol. 2009; 655: 1–12. 9. Clayton T.A., Lindon J.C., Cloarec O. et al. Pharmaco-metabonomic phenotyping and personalized drug treatment. Nature. 2006; 440 (7087): 1073–1077. 10. Sarkar I.N. Biomedical informatics and translational medicine. J. Transl. Med. 2010; 8: 22–34. 11. Archakov A.I., Lisica. A.V., Petushkova N.A., Karuzina I.I. Citohromy R-450, lekarstvennaya bolezn’ i personificirovannaya medicina. Chast’ 1. Klinicheskaya medicina 2008; 86 (2): 4-8. 12. 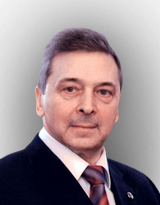 Medvedeva N.V., Ipatova O.M., Ivanov Yu.D., Archakov A.I. Nanobiotehnologii v medicine. Biomed. himiya. 2006; 52 (6): 529-546. 13. Jain K.K. Role of nanotechnology in the development of personalized medicine. Nanomedicine. 2009; 4 (3): 249–252. 14. Kang Ju-S., Lee M.-H. Overview of Therapeutic Drug Monitoring. Korean J. Int. Med. 2009; 24 (1): 1–10. 15. Thomson A. Why do therapeutic drug monitoring. Pharm. J. 2004; 273: 153–155. 16. Marshall W.J., Bangert S.K. Clinical Chemistry, 6th Edition. Edinburgh, London: Mosby. 2008. ISBN 9780723434559. 18. Andreeva O.V. Primenenie terapevticheskogo lekarstvennogo monitoringa finlepsina v krovi v klinicheskoj praktike. Klin. farmakokin. 2005; 1 (2): 29-33. 19. Kukes V.G., Bogoslovskaya S.I., Andreev D.A. i dr. Farmakogeneticheskie issledovaniya sistemy biotransformacii i transporterov dlya personalizacii farmakoterapii v kardiologii (rossijskij opyt). Soobschenie vtoroe: farmakogeneticheskie issledovaniya CYP2D6. Klin. farm. terap. 2007; 4: 62-66. 20. Kukes V., Novikov A., Savchenko A. i dr. Ocenka aktivnosti izofermenta citohroma r450 3a4 (cyp3a4) kak real’naya vozmozhnost’ personalizacii farmakoterapii. Vrach. 2008; 3: 13-19. 21. Benet L.Z., Kroetz D.L., Sheiner L.B. The dynamics of drug absorption, distribution and elimination. In: The Pharmacologial Basis of Therapeutics. 9th Ed. Chapter I. Goodman & Gillman’s. McGrawHill. 1996. 3–27. 22. Archakov A.I., Lisica A.V., Petushkova N.A., Karuzina I.I. Citohromy R-450, lekarstvennaya bolezn’ i personificirovannaya medicina. Chast’ 2. Terapevticheskij lekarstvennyj monitoring kak metod ocenki aktivnosti monooksigenaznoj sistemy. Klinicheskaya medicina. 2008; 86 (3): 4-7. 23. Alnaim L. Therapeutic drug monitoring of cancer chemotherapy. J. Oncol. Pharm. Pract. 2007; 13 (4): 207–221. 24. Christensen J., Hojskov C.S., Poulsen J.H. Liquid chromatography tandem mass spectrometry assay for topiramate analysis in plasma and cerebrospinal fluid: validation and comparison with fluorescence-polarization immunoassay. Ther. Drug Monit. 2002; 24: 658–664. 25. Christian U., Jacobsen W., Sercova N. et al. Automated, fast and sensitive quantification of drugs in blood by liquid chromatographymass spectrometry with on-line extraction: immunosuppressants. J. Chromatography B. Biomed. Sci. Appl. 2000; 748 (1): 41–53. 26. Liu H., Delgado M.R. Therapeutic drug concentration monitoring using saliva samples. Focus on anticonvulsants. Clin. Pharmacokinet. 1999; 36: 453–470. 27. Corona G., Casetta B., Sandron S., Vaccher E., Toffoli G. Rapid and sensitive analysis of vincristine in human plasma using on-line extraction combined with liquid chromatography /tandem mass spectrometry. Rapid Com in Mass Spectrometry. 2008; 22: 519–525. 28. Zhang D., Liu H., Zhang S. et al. An effective method for de novo peptide sequencing based on phosphorylation strategy and mass spectrometry. Talanta. 2011; 84 (3): 614–622. 29. Egge-Jacobsen W., Unger M., Niemann C.U., et al. Automated, fast, and sensitive quantification of drugs in human plasma by LC/ LC-MS: quantification of 6 protease inhibitors and 3 nonnucleoside transcriptase inhibitors. Ther. Drug Monit. 2004; 26: 546–562. 30. Futreal P. A., Coin L., Marshall M. et al. A census of human cancer genes. Nat. Rev. Cancer. 2004; 4 (3): 177–183. 31. Forbes S.A., Bhamra G., Bamford S., et al. The Catalogue of Somatic Mutations in Cancer (COSMIC). Curr. Protoc. Hum. Genet. 2008; Chapt. 10: Un. 10.11. 32. Suh K.S., Park S.W., Castro A. et al. Ovarian cancer biomarkers for molecular biosensors and translational medicine. Expert. Rev. Mol. Diagn. 2010; 10 (8): 1069–1083. 33. Darcy K.M., Birrer M.J. Translational research in the Gynecologic Oncology Group: evaluation of ovarian cancer markers, profiles, and novel therapies. Gynecol. Oncol. 2010; 117 (3): 429–439. 34. Diaz-Rubio E. Translational research in clinical oncology: challenges and opportunities. Farm. Hosp. 2010; 34S1: 1–7. 35. Strimpakos A.S., Syrigos K.N., Saif M.W. Translational research in pancreatic cancer. Highlights from the «2010 ASCO Gastrointestinal Cancers Symposium». Orlando, FL, USA. January 22–24, 2010. JOP. 2010; 11 (2): 124–127. 36. Strimpakos A.S., Syrigos K.N., Saif M.W. The molecular targets for the diagnosis and treatment of pancreatic cancer. Gut. Liver. 2010; 4 (4): 433–449. 37. Chung H-W., Lee S-G., Kim H. et al. Serum high mobility group box-1 (HMGB1) is closely associated with clinical and pathological features of gastric cancer. J. Transl. Med. 2009; 7: 38–48. 38. Albin R.J., Marincola F.M., Natali P.G. The «Excellence in Translational Medicine» and «Bedside-to-Bench» Awards 2008–2009. J. Transl. Med. 2010; 8: 95–96. 39. Li K.M., Rivory L.P., Hoskins J. et al. Altered deoxyuridine and thymidine in plasma following capecitabine treatment in colorectal cancer patients. Brit. J. Clin. Pharmacol. 2007; 63 (1): 67–74. 40. Johnson K.A., Brown P.H. Drug development for cancer chemoprevention: focus on molecular targets. Semin. Oncol. 2010; 37 (4): 345–358. 41. Delaney A., Fleetwood S.M., Colvin L.A., Fallon M. Translational medicine: cancer pain mechanisms and management. Brit. J. Anaest. 2008; 101 (1): 87–94. 42. Eschenhagen T., Force T., Ewer M.S. et al. Cardiovascular side effects of cancer therapies: a position statement from the Heart Failure Association of the European Society of Cardiology. Eur. J. Heart Fail. 2011; 13 (1): 1–10. 43. Gonzalez A., Lopez B., Beaumont J. et al. Cardiovascular translational medicine (III). Genomics and proteomics in heart failure research. Rev. Esp. Cardiol. 2009; 62 (3): 305–313. 44. Heidecker B., Kasper E.K., Wittstein I.S. et al. Transcriptomic biomarkers for individual risk assessment in new-onset heart failure. Circulation. 2008; 118: 238–246. 45. McNamara D.M. Pharmacogenomics for neurohormonal intervention in heart failure. Cardiol. Clin. 2008; 26: 127–135. 46. Berhane B.T., Zong C., Liem D.A. et al. Cardiovascular-related proteins identified in human plasma by the HUPO Plasma Proteome Project pilot phase. Proteomics. 2005; 5: 3520–3530. 47. Dunn W.B., Broadhurst D.I., Deepak S.M. et al. Serum metabolomics reveals many novel metabolic markers of heart failure, including pseudouridine and 2-oxoglutarate. Metabolomics. 2007; 3: 413–426. 48. Campuzano O., Sarquella-Brugada G., Brugada R. et al. Cardiovascular translational medicine (IV): The genetic basis of malignant arrhythmias and cardiomyopathies. Rev. Esp. Cardiol. 2009; 62 (4): 422–436. 49. Donahue J.K. Gene therapy for cardiac arrhythmias: A dream soon to come true? J. Cardiovasc. Electrophysiol. 2007; 18: 553–559. 50. Feldman A.M., Koch W.J., Force T.L. Developing strategies to link basic cardiovascular sciences with clinical drug development: another opportunity for translational sciences. Clin. Pharmacol. Ther. 2007; 81 (6): 887–892. 51. Feuerstein G.Z., Ruffolo R.R. Discontinued drugs in 2006: cardiovascular drugs translational medicine perspective. Expert Opin. Investig. Drugs. 2007; 16 (9): 1315–1326. 52. Salzberg D.J., Weir M.R. COX-2 inhibitors and cardiovascular risk. Subcell Biochem. 2007; 42: 159–174. 53. Grosser T., Fries S., FitzGerald G.A. Biological basis for the cardiovascular consequences of COX-2 inhibition: therapeutic challenges and opportunities. J. Clin. Invest. 2006; 116 (1): 4–15. 54. Krishnan A., Yadav K., Kaur M., Kumar R. Epidemiology to public health intervention for preventing cardiovascular diseases: the role of translational research. Indian J. Med. Res. 2010; 132 (5): 643–650.